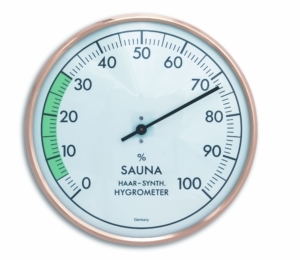 With this hygrometer you can monitor the humidity in your sauna and thus ensure the highest possible comfort. The scale can be read very well, the optimal range is marked in colour. 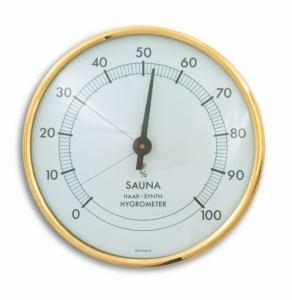 This allows you to quickly see whether the right humidity in the sauna is maintained. 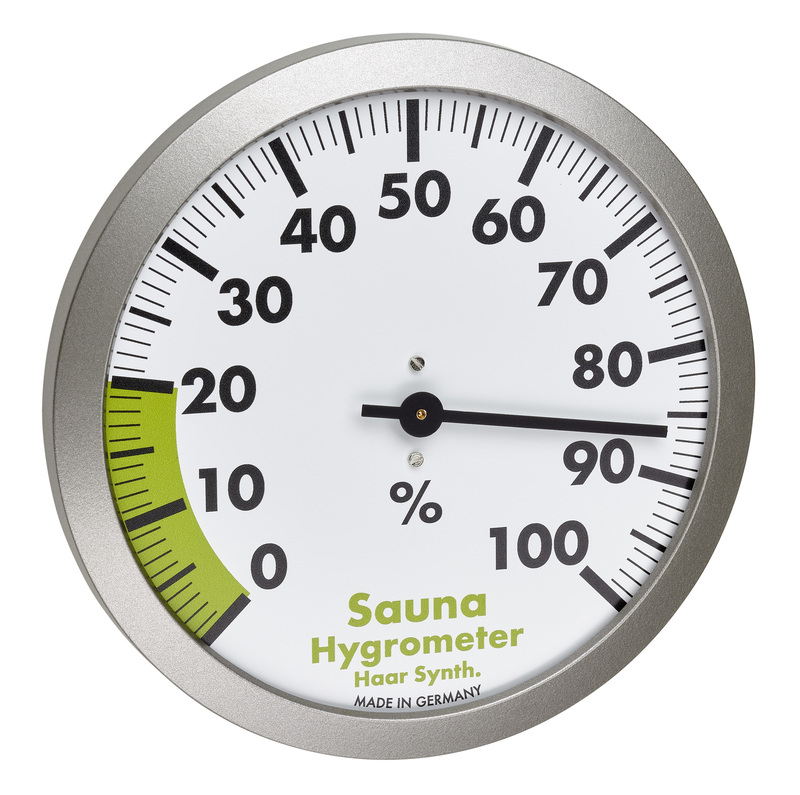 The hygrometer has a bezel made of particularly durable polycarbonate and is entirely manufactured in Germany.